Athletes experience minor fatigue and acute reductions in performance as a consequence of the normal training process. When the balance between training stress and recovery is disproportionate, it is thought that overreaching and possibly overtraining may develop. However, the majority of research that has been conducted in this area has investigated overreached and not overtrained athletes. Overreaching occurs as a result of intensified training and is often considered a normal outcome for elite athletes due to the relatively short time needed for recovery (approximately 2 weeks) and the possibility of a supercompensatory effect. As the time needed to recover from the overtraining syndrome is considered to be much longer (months to years), it may not be appropriate to compare the two states. 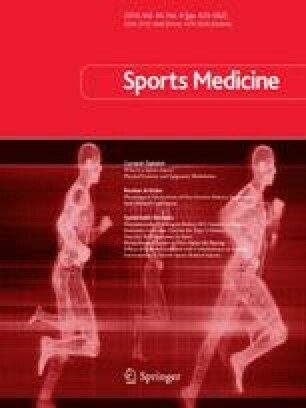 It is presently not possible to discern acute fatigue and decreased performance experienced from isolated training sessions, from the states of overreaching and overtraining. This is partially the result of a lack of diagnostic tools, variability of results of research studies, a lack of well controlled studies and individual responses to training. The general lack of research in the area in combination with very few well controlled investigations means that it is very difficult to gain insight into the incidence, markers and possible causes of overtraining. There is currently no evidence aside from anecdotal information to suggest that overreaching precedes overtraining and that symptoms of overtraining are more severe than overreaching. It is indeed possible that the two states show different defining characteristics and the overtraining continuum may be an oversimplification. Critical analysis of relevant research suggests that overreaching and overtraining investigations should be interpreted with caution before recommendations for markers of overreaching and overtraining can be proposed. Systematically controlled and monitored studies are needed to determine if overtraining is distinguishable from overreaching, what the best indicators of these states are and the underlying mechanisms that cause fatigue and performance decrements. The available scientific and anecdotal evidence supports the existence of the overtraining syndrome; however, more research is required to state with certainty that the syndrome exists.